Steven Khalil heavily beaded and feathered one-off couture gown. Perfect for engagement, pre-wedding, mother of the bride/groom. Worn once, dry cleaned in perfect brand new condition. The gown could fit a size Australian 6-8. It comes with a slip for underneath. 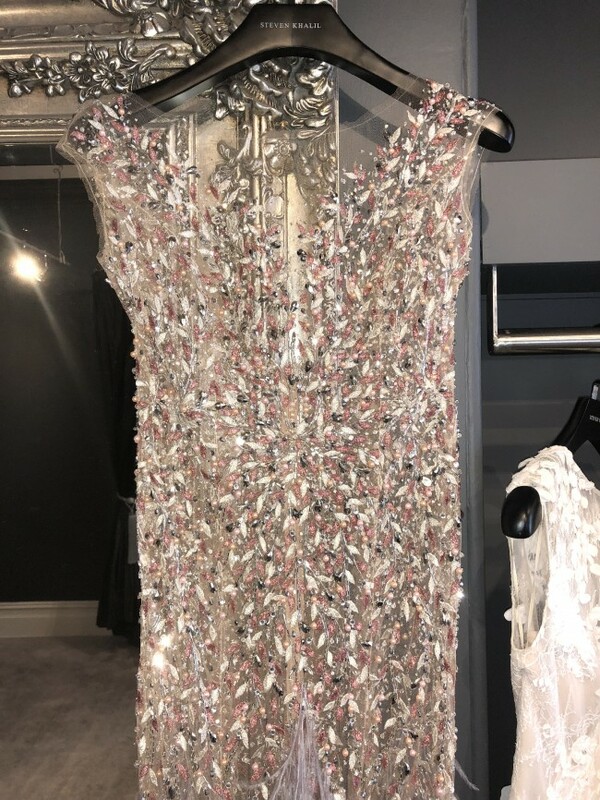 Rare one of a kind piece created by the talented Steven Khalil.